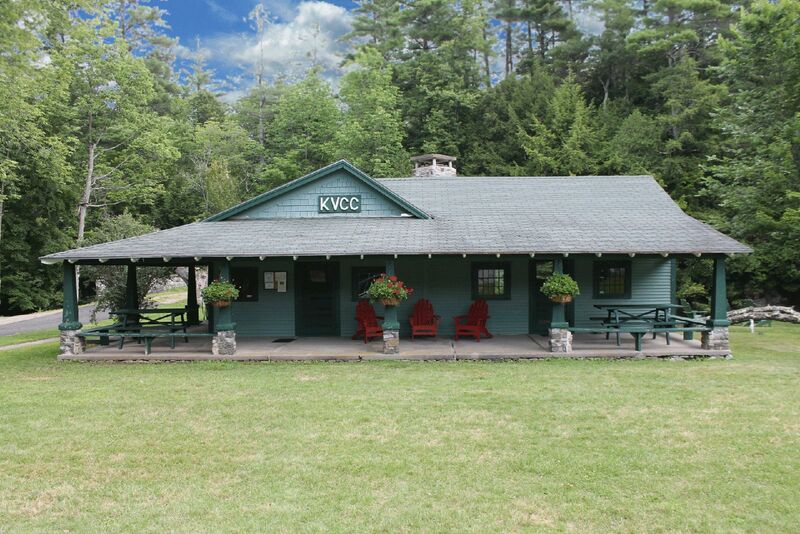 Membership to the KVCC is annual and officially begins on June 1st. The KVCC offers new (Associate) members a discounted membership fee for the first two seasons before becoming a Full members. Associate Members have all of the rights and privileges of Full Members, except he/she may not serve on the Board, vote in KVCC elections, or propose new active members. After two years as an Associate Member, the Membership Committee will normally recommend the Associate for Full Membership. At that time the new Full Member will be assessed a one-time Initiation Fee of $150.00. To join the KVCC, please complete the on-line Application Form. If you have any questions, please feel free to contact us. Unlimited family member access to all facilities, social events and off-season paddle tennis. "Family" includes head of household, spouse or partner, and unmarried dependent children 25 or younger. Full access to all facilities, social events and off-season paddle tennis. Under 30 discount available. For members who do not wish to use the athletic facilities of the KVCC yet wish to be affiliated with the club. Social members do not have guest privileges and may not use the KVCC facilities other than the clubhouse. Full access to off-season paddle tennis for the entire family. 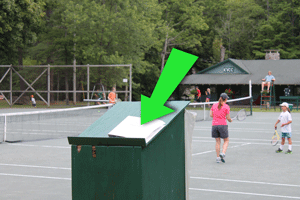 Members are permitted to bring guests to the Club and are asked to sign guests in at the Guest Registry located next to tennis court #1 (see green arrow, right). The per-day charge for guests at the KVCC is $8.00 (no charge for children under three years old). Bills for guest fees are mailed at the end of the summer. Members are responsible for registering their guests when they enter club grounds. All guests using the tennis courts, the swimming pool, clubhouse facilities must be registered each day in the guest book. Members will be charged a daily guest fee for each guest using the KVCC facilities. The guest book is located on the podium by court # 1. Please introduce your guests to the Club Manager and to the Life Guard. Guest fees are determined each year and are announced in the spring newsletter. Guest fees are billed on an annual basis each Fall by mail. Social guests and guests watching activities, but not participating, do not need to be registered. House Guests may visit 14 times during the summer season. Non-House Guests may visit the club once a week.